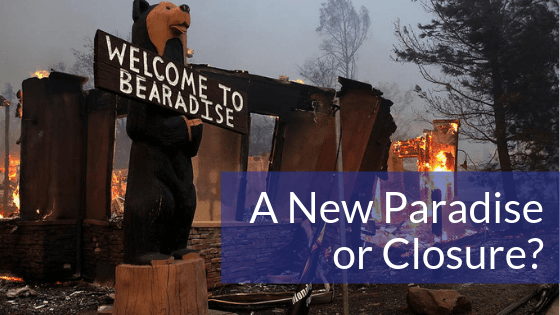 What PG&E’s Bankruptcy Means For My Camp Fire Claims Does PG&E’s bankruptcy mean that I no longer have a claim? If I make a claim against PG&E, will that cause my rates to go up? Does PG&E’s bankruptcy affect the deadlines for filing a claim related to the Camp Fire? 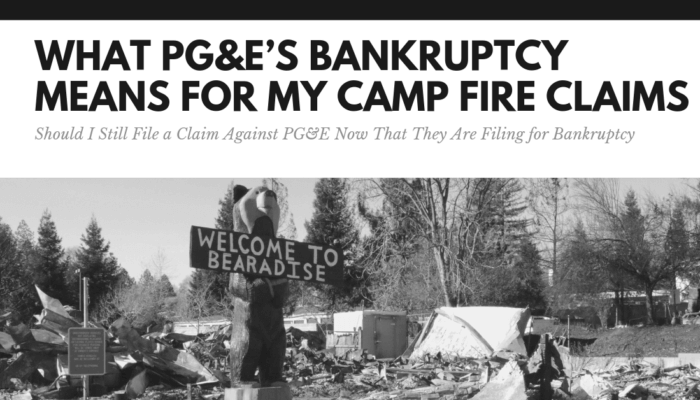 As has been widely reported, PG&E filed bankruptcy this past… Continue Reading.. They Should Be Held Accountable Transportation is essential for people of all ages and backgrounds to live a fulﬁlling and satisfying life. It plays a vital role in many aspects of daily life, including access to employment, education, health care, and social/recreational activities. Put simply, transportation is a requirement for full participation in a community. Despite the obvious importance, people… Continue Reading..
Because many of our clients enjoy the benefit of having a service dog, we get wide-ranging questions about what it takes to qualify as a service dog and what rights are afforded to people with disabilities who use service dogs. Let’s clarify some of the misconceptions about service dogs. A qualified service dog is any dog: “individually trained” to “do… Continue Reading..
A New Paradise or Closure? As the fog rolled into the town of paradise on December 15, 2018 so did thousands of recent evacuees. The beautiful skyway entrance to the town they once loved was backed up for miles. An eerie reminder of the congestion they faced 5 weeks ago. 1, 2, 4, 5, 6, 7, 9, 10, 11, 12,… Continue Reading..
A recent lawsuit against Starbucks demonstrates a very important point about disability civil rights: most of the time it is just common sense. Yes, there are technical requirements for physical access under the Americans with Disabilities Act. There is, in fact, an actual building code for accessible design. But the ADA’s building code is different than any other on… Continue Reading.. When we hear the word “discrimination,” we often think of intentional mistreatment of persons because of some personal characteristic. The classic line, “your kind ain’t welcome here,” mumbled over a dirty toothpick springs to mind as the archetype of discriminatory lingo. And while this type of discriminatory behavior is loathsome enough, there are other types of discrimination we should be… Continue Reading..